I was pleasantly surprised over the weekend that my article on the undemocratic position that the Liberal Democrats adopted in regards to Article 50 and the European Union (Notification of Withdrawal) Bill had triggered a reprisal. Callum Gurr nobly articulated his disagreements to my article and in the process demonstrated civil political discussion, something we increasingly lack these days. So I would like to thank Callum and Student Voices itself for engaging and facilitating discussion on this issue. However, I would like the right to respond to some of the points raised by Callum. "We're the only party left for standing for democracy" boldly stated the title. Whilst I fundamentally disagree with this statement given the refusal for Farron et al to acknowledge the result, Callum's point neglects the fact that the Liberal Democrats were aligning themselves with the SNP (referendum experts), the Green party and various members of the Labour party. You cannot effectively argue that the Lib Dems are the "only" party standing for democracy when you ignore those others groups that stood next to them on the same ticket. 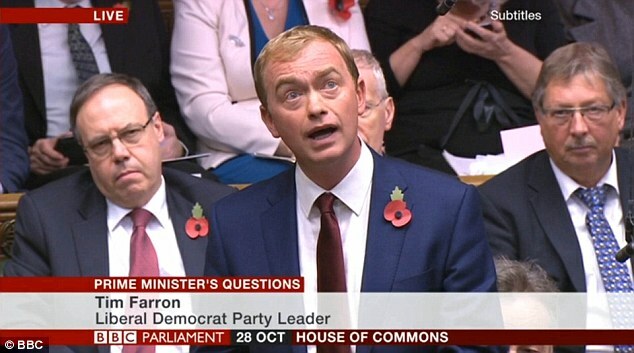 Farron's argument was so weak he couldn't even convince his tiny allotment of Westminster MP's to vote along with him. I agree with Callum when he states that "we do not all suddenly change our beliefs and values the minute a vote has been cast". I and the rest of us are not asking you to. Tony Blair led New Labour to three successive general election victories; every one of them frustrated me but I accepted the result whilst still continuing to believe in conservative principles. All I ask is that the Lib Dems acknowledge the decision that was made and respect the manner in which democracy works. Farron should be leading his party on the debate about forming a consensus for what a Brexit should look like; not trying to undo the referendum result itself by holding another. Callum states that the Lib Dems are "unashamedly pro-EU membership". Given this is an institution that appoints it's Presidents and allows an unelected executive to dictate EU policy and law (EU Commission), we shouldn't be too surprised that Farron isn't familiar with the practices of democracy. It is its staunch Europhile position that blinds it from the downsides of the EU. The Remain's side refusal to acknowledge the faults with the EU in the first place alienated me and countless others. Sure, I accept that the EU has many strengths, including the freedom of movement of people but for me personally, nothing comes higher for me than democracy and sovereignty itself. 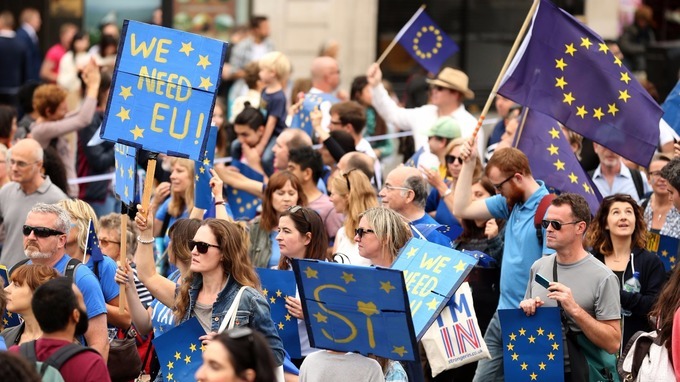 If we enacted a second referendum on the terms for Brexit we are setting a dangerous precedent which will inhibit of the work of future governments. Will we start calling for referendums on how the NHS is funded or whether we want Donald Trump to visit the UK? Referendums are a tool that are rightly seldom used. The one we witnessed in 2016 did its job and achieved a decisive result. The time has come to let the elected government to get on with the process of Brexit. Let's not forget that the activation of Article 50 will trigger a 2 year period for negotiations to take place in that will give Farron and his cronies ample opportunity to build a consensus, influence public opinion and scrutinise the government's actions.